Ladies CE armour for either shoulders, elbows or knees. (So if you want a full set for a jacket's shoulders AND elbows, you'll need to order two of these sets). 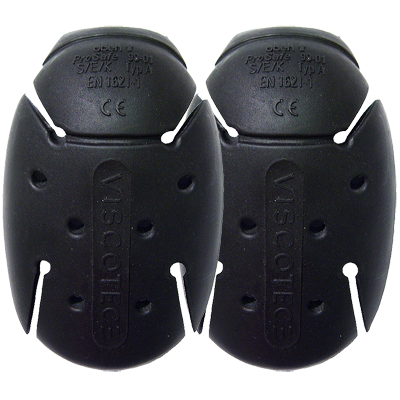 Viscotec is constructed from a patented memory foam rubber which, although pre-moulded, changes shape to that of your own shoulder and elbow contours and becomes a perfect fit.